Hello everyone, I'm back with another makeup review! 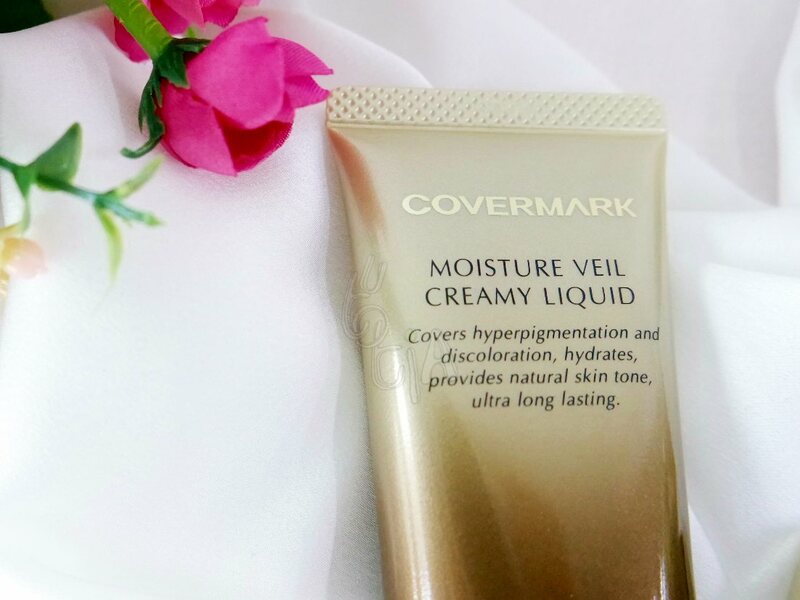 For your information, I've reviewed this brand previously on this blog, you can check it here: [REVIEW: COVERMARK Moisture Veil LX]. 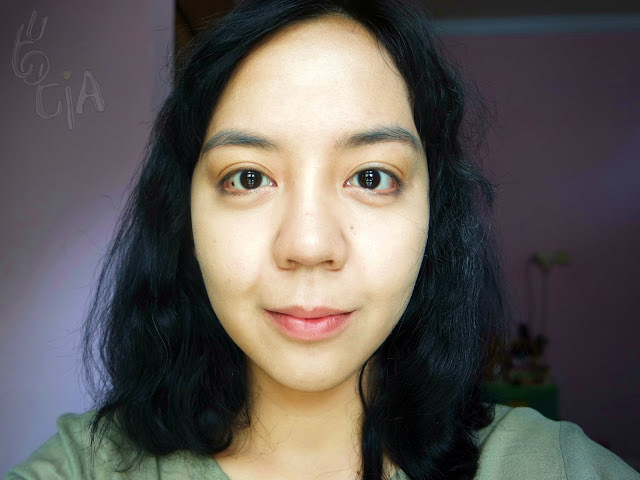 Yes, I will review another amazing product from COVERMARK and also show you my Japan Natural Look for Indonesian Beauty Blogger's JAPAN MAKEUP CHALLENGE with Covermark Indonesia. 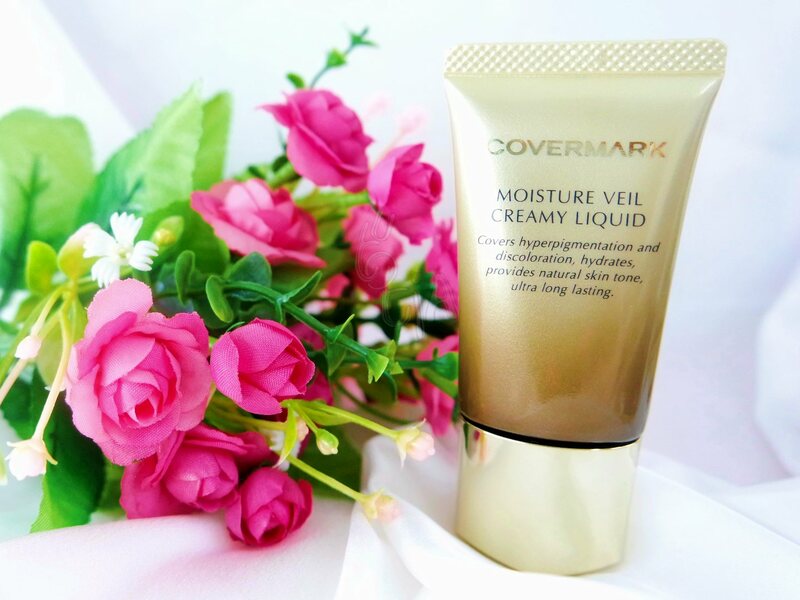 Another amazing product that I really love and swear by is Covermark Moisture Veil Creamy Liquid. 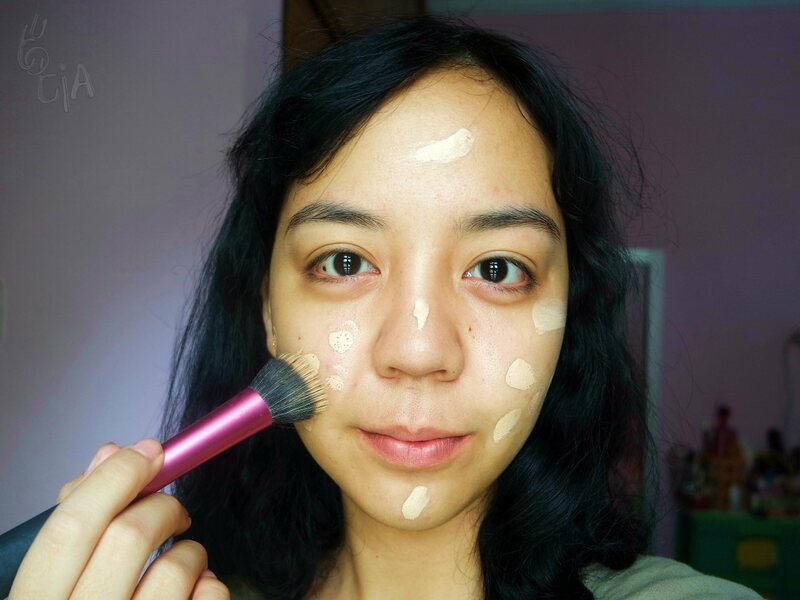 It's liquid foundation with creamy texture. The packaging is quite small and easy to be brought anywhere. 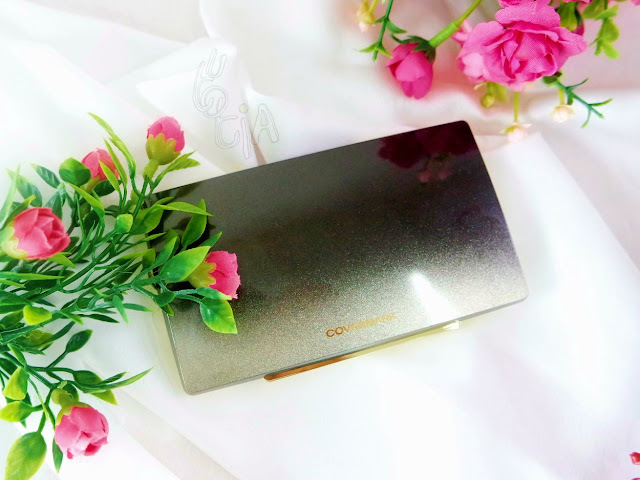 The design is very elegant with gradation of gold color. On the packaging shown the brief description of the product. It says that it covers hyperpigmentation and discoloration, hydrates, provides natural skin tone, ultra long lasting. Let's see! As you can see my bare face has a lot of flaws. 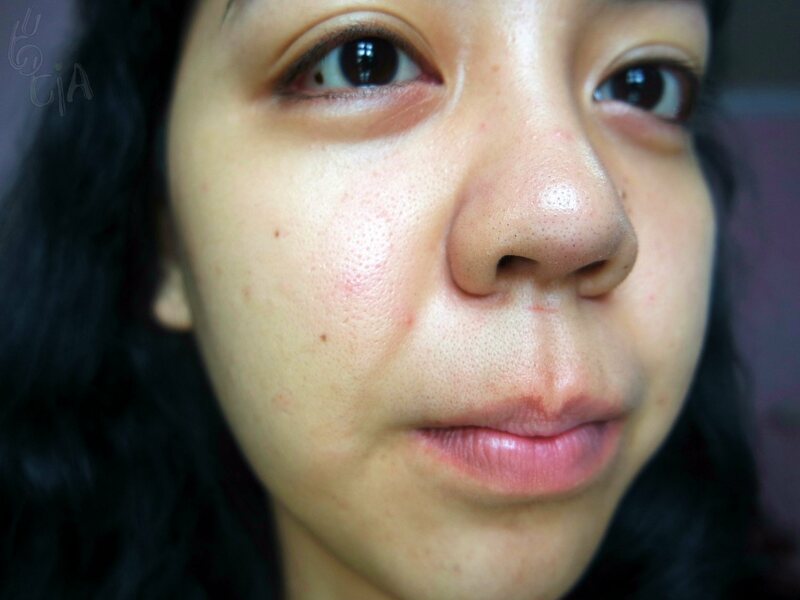 I have big pores, several discolorations in forms of dark spots, acne scars, and under-eye dark circles. Not to mention I also have some redness and cuts (from razor burns). 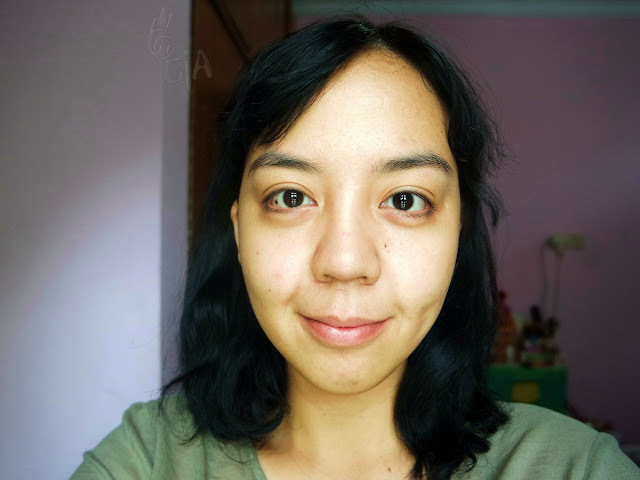 And above picture is also my bare face, front view. 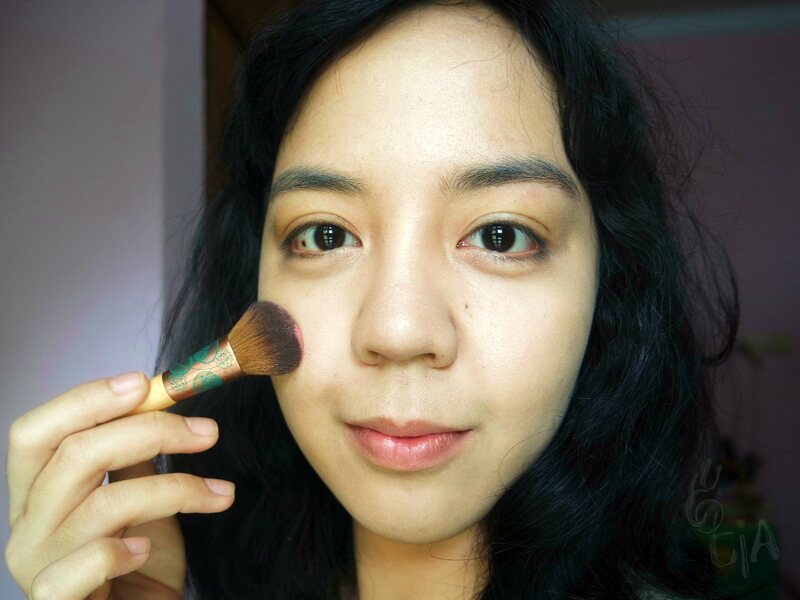 This foundation comes with a sponge, but since I want to achieve lighter result, I decided to use brush instead. 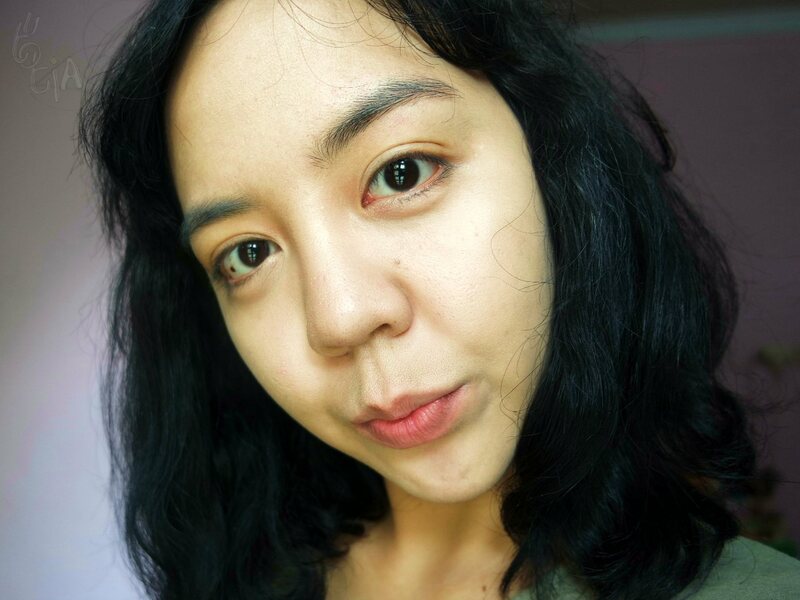 The shade is slighly lighter than my natural skin tone, but still okay. What I want to rave is the ability of this Moisture Veil Creamy Liquid to cover my imperfections without me feeling heavy. The texture is super creamy yet super lightweight. 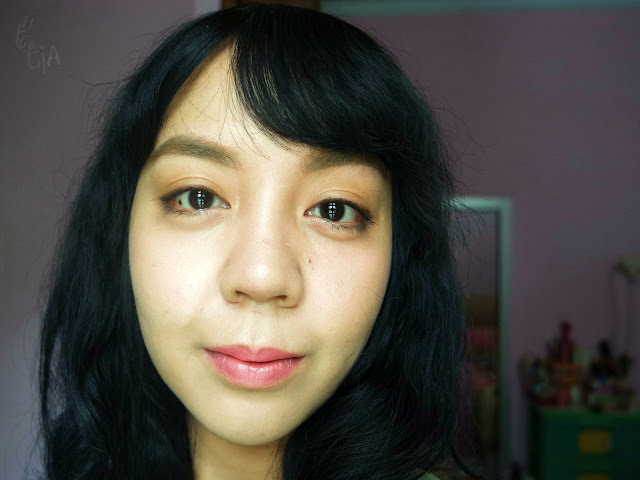 It feels like I'm wearing tinted moisturizer rather than full-coverage foundation. Also, as you can see it completely covers up my pores, dark circles, and redness. Only 1-2 dark spots left (on my chin). I tried wearing this COVERMARK Moisture Veil Creamy Liquid without setting powder and it lasts until 6-7 hours without being cakey or greyish. It stays and miraculously it stays without making my face like oil field (LOL). You read my review? 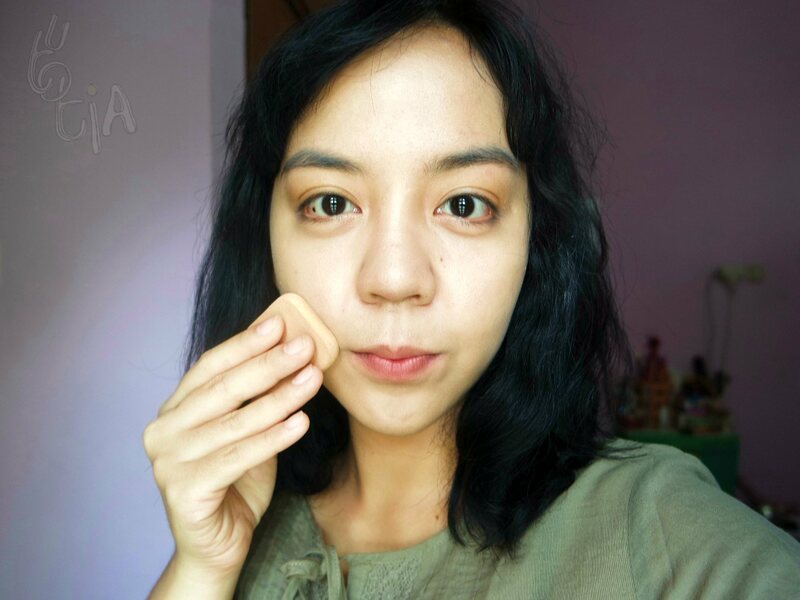 I love it so much that I claimed it as THE BEST POWDER FOUNDATION on my beauty awards in 2014 [utoTIA 2014 Beauty Awards - Makeup]. 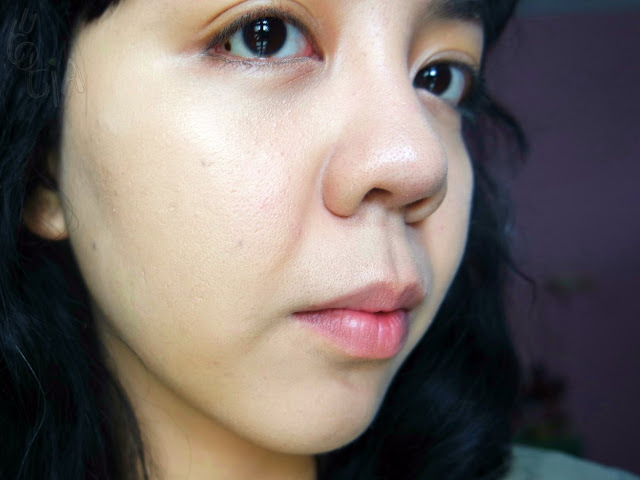 And 2 years later, this 2016, do I still love it and call it the Best Powder Foundation? The answer is definitely YES! It is still the best because I haven't found any other powder foundation that can make my face look healthily glowing throughout the day. 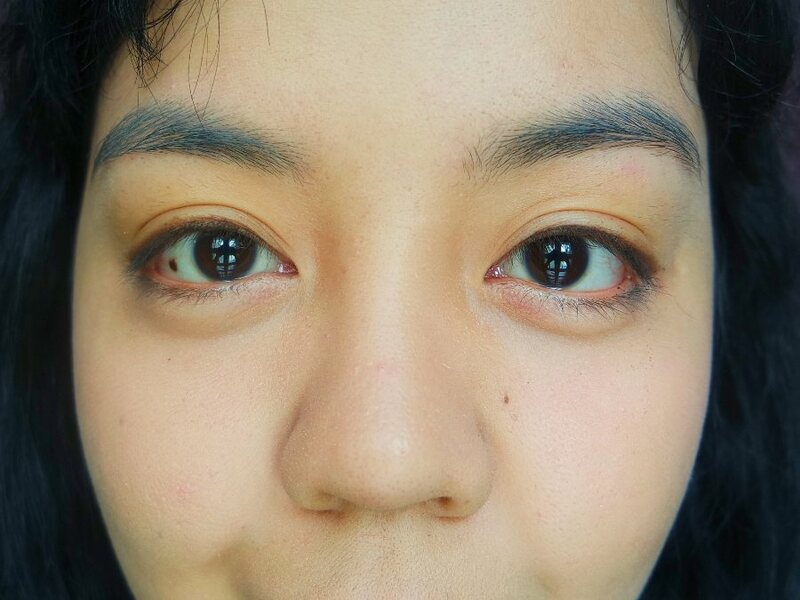 The finish look is not matte, but dewy. It has sophisticated technology formulas called Sandwich Complex Powder and Moist Change Powder to absorb oil and achieve a lastingly radiant finish. 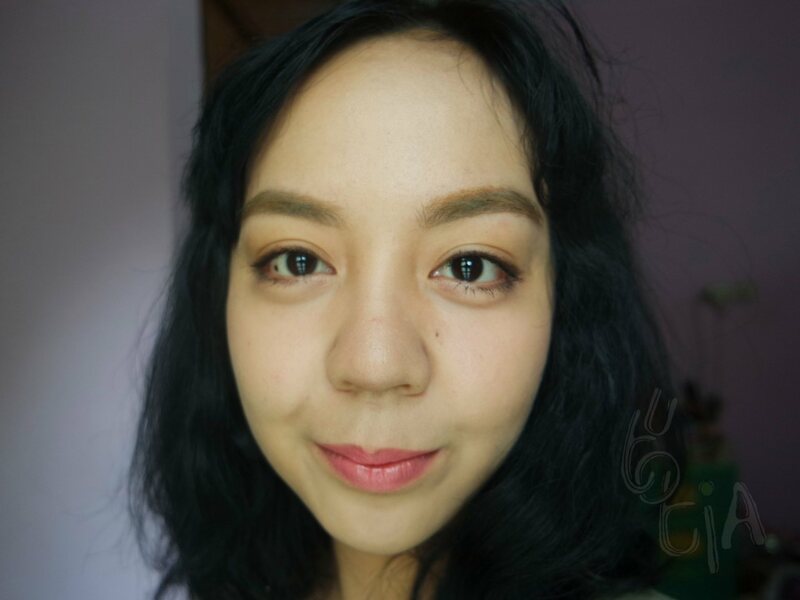 And after using two amazing products from COVERMARK, now I just need several steps to achieve my own interpretation of JAPAN NATURAL LOOK. I only highlighted the point makeup for the look to be brief. First thing first, I applied powder blush. I choose pink color from Kanebo on my apple of the cheek to make my face appears fresh. 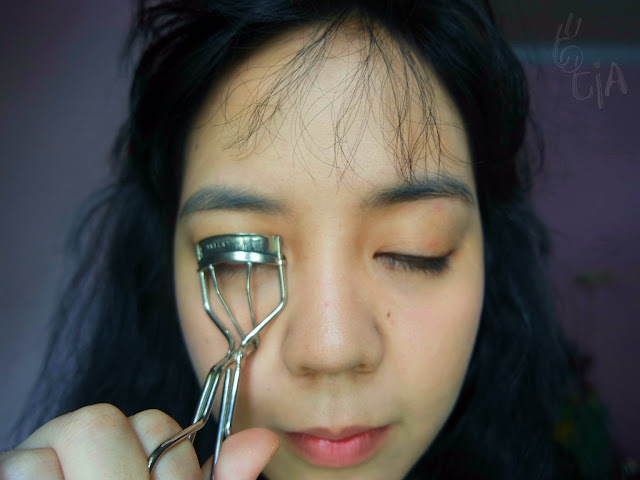 Then I just curled my eyelash with eyelash curler then apply thin layer of mascara. I apply peach lipstick from Cezanne to make my lip makeup appear subtle. It has glossy finish, just like favorite lip finish by Japanese women! 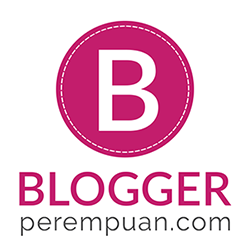 Don't forget to check Indonesian Beauty Blogger FB page and Twitter to join JAPAN MAKEUP CHALLENGE! 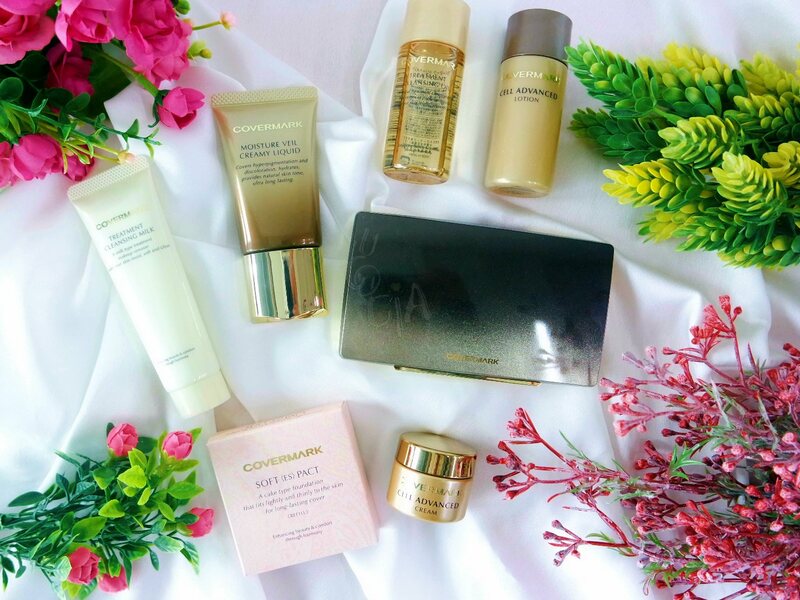 Yang liquid dan bedak shade berapa ya?